Don’t deny access from your users! 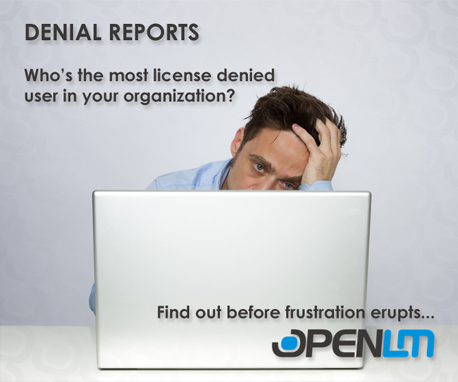 OpenLM allows you to manage access preferences among your users. Single out and end idle sessions, freeing licenses back into the system. Provide real-time and retrospective usage data, helping you to differentiate between the needs of your various end-users.